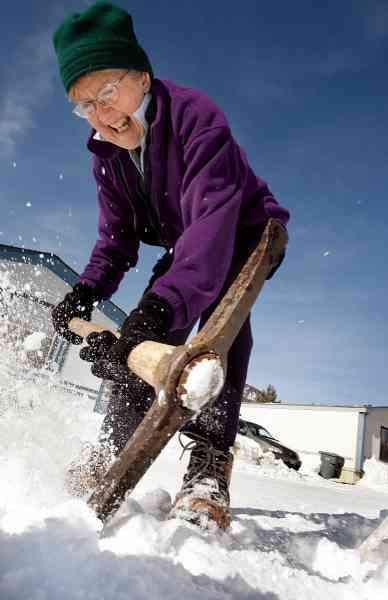 Susan Kimbler uses a pick to clear snow and ice from her driveway in Hermosa on Thursday. She is taking advantage of the warm rays that are helping to melt the solid snowpack. But the reprieve is temporary. The National Weather Service expects a snowstorm to move into the area Saturday.